Riverside is a visual journey showcasing change within a city that has witnessed tremendous growth in its relatively short lifespan. By comparing and contrasting the same building, street, or block several decades apart, this book shows how a dusty landscape east of Los Angeles blossomed into Southern California's sixth-largest city. 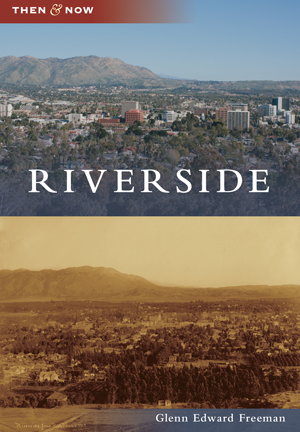 As a native of Riverside, author Glenn Edward Freeman herein shares his appetite for the city's history, his enthusiasm for its present, and his optimism for its future.